Polybait AS’ development of an artificial longlining bait started back in 2011 as a collaboration between Polybait, and the research institutions SINTEF and Nofima. In 2014, the first prototype was ready, and during 2016 we aim to have the first artificial longlining bait available for use within commercial fishing. Developing an artificial bait for commercial use poses some serious challenges. Not only does the bait have to catch equally well as traditional bait – it also has to be bio-degradable, completely free of toxins, and be non-hazardous for fish to ingest and digest. It also needs to imitate fish meat both in shape, color, and consistency. This means that the materials used are subject to a series of requirements. It is one of those things that is hard to make better than nature itself, but that’s exactly what we have done. 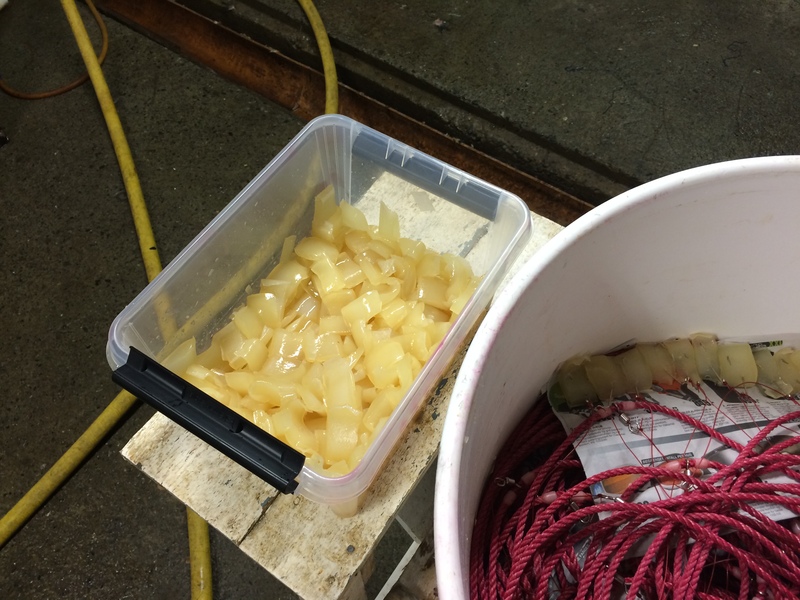 A tub of longline with artificial bait is ready to go during the preparations for the first low-scale test fishing. The bait is a physical substance that baits directly to the longline hook, and is strong enough to resist ruptures and tearing from the hook while fishing. 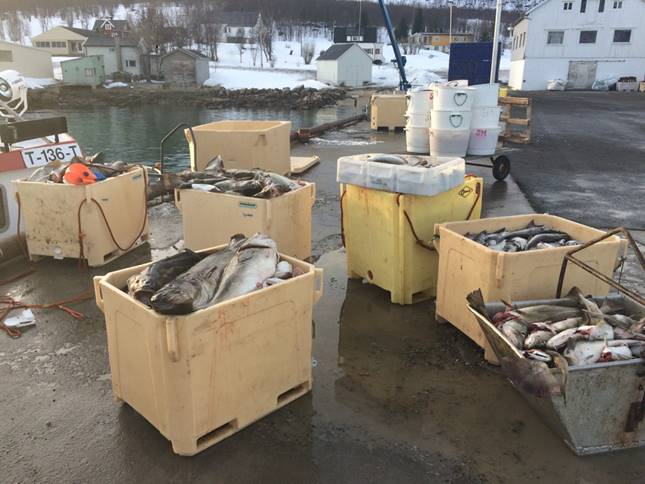 This short clip is from the low-scale test fishing with a longlining vessel on Malangsgrunnen off the coast of Troms during March 2015. The bait still remain on the hooks that did not catch, and shows that the artificial bait is less likely to be fed on by crustaceans and ocean floor organisms compared to traditional bait. The catch results from the test fishing has been very promising. An interesting note was that our artificial bait seemed to catch bigger cod than traditional bait normally does on the longline.